Great blue herons are frequently seen in Southwest Florida. This big heron was almost aggressively visiting beachgoers at the beach on Lovers Key. Nice one Jack. 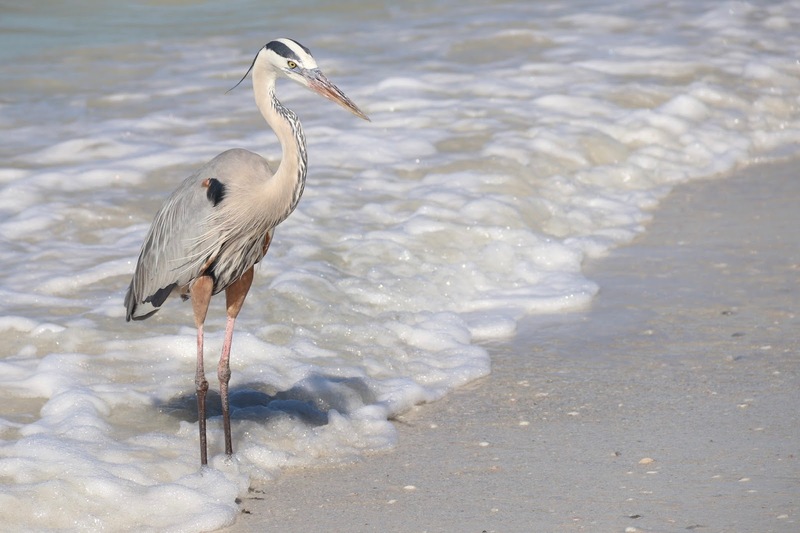 Watching the birds up close on Florida beaches was one of the highlights on my vacations. We also have Great Blue Herons, but not until about May when they arrive from the winter vacations. They're formidable birds. We'll start seeing their return by May as well. He's a beauty and you've photographed him perfectly. What a beautiful bird. We have some here too but I haven't seen one in a while. When you're as handsome as this one I suppose you can do pretty much whatever you want. We had one poking around our backyard again today but s/he seemed less self assured.